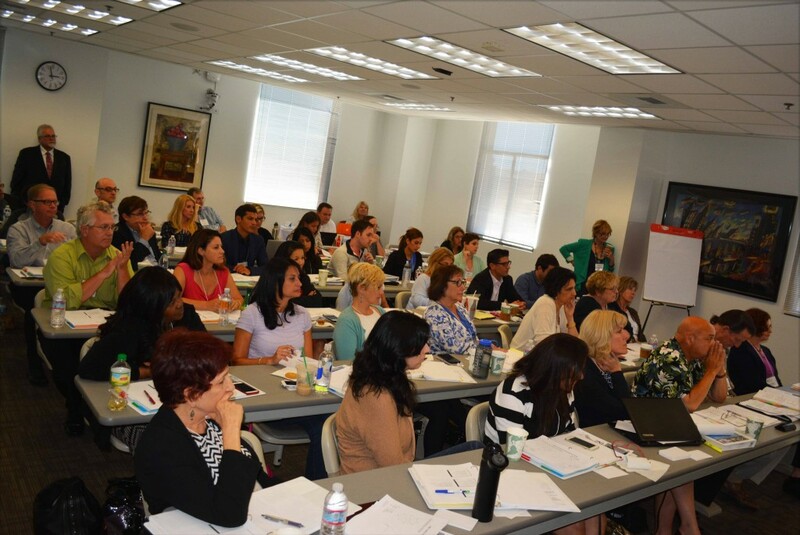 Forty-five participants including five Loyola Law School students attended the recent Collaborative Practice training, organized by Family Divorce Solutions member Stephanie Maloney. Family Divorce Solutions members including Kevin Chroman, Fred Glassman, Theresa Heyes, and training program coordinator Stephanie Maloney provided Collaborative Practice Training to an enthusiastic group of 45 attendees including five law school students August 12-14 at Loyola Law School in Los Angeles. The three-day training program is presented annually by the Los Angeles Collaborative Family Law Association. The curriculum covered topics including the history of Collaborative Practice; role of the professionals and how they work together as a team; qualifying clients and setting expectations for the process; problem solving; and practice outreach. Participants had the opportunity to put their skills to the test during case simulation exercises, working in Collaborative Practice teams. 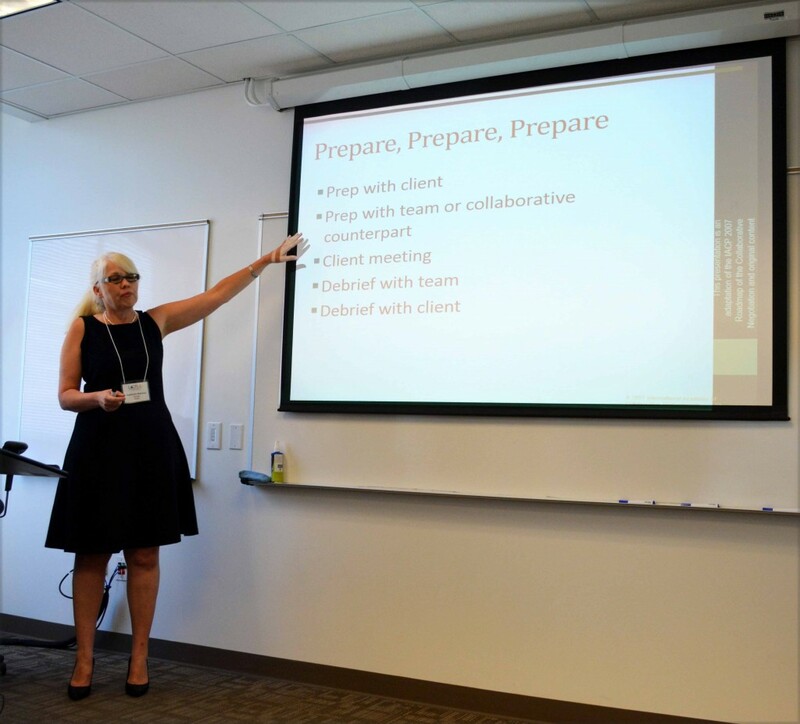 Family Divorce Solutions member Stephanie Maloney leads participants in discussion at the recent Collaborative Practice Training at Loyola Law School. 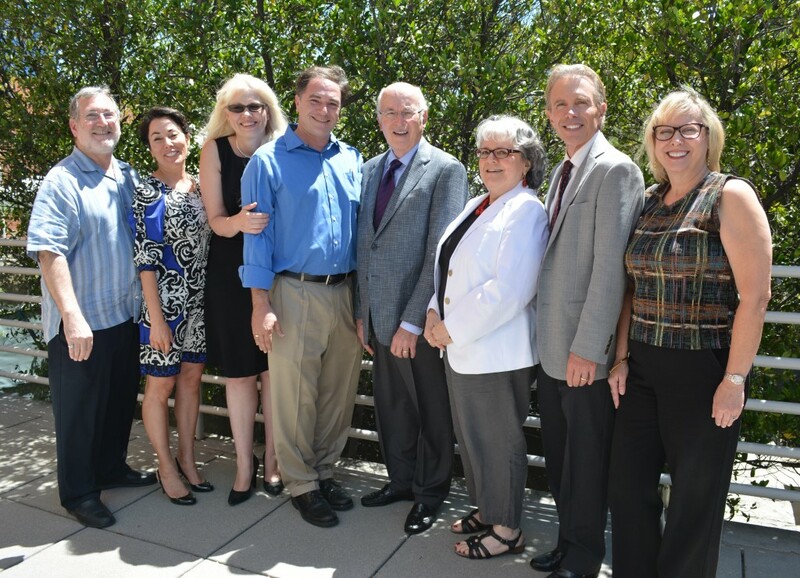 Faculty members (left to right) Steven Garelick, Jaye-Jo Portanova, Stephanie Maloney, Kevin Chroman, Fred Glassman, Dr. Carol Hirshfield, Joe Spirito, and Theresa Heyes. Thanks to the effort of Stephanie Maloney and the faculty team, a new, enthusiastic group of Collaborative professionals will now offer this healthy, respectful alternative to traditional litigation. Family Divorce Solutions welcomes all new practitioners to the Collaborative approach and looks forward to its continued growth.